So you've just installed Tom Clancy Rainbow Six Vegas 2 on PC just to find out that your Xbox controllers doesn't work. Well you're in luck; I have quick fix that will surely get you up and running in no time. So we will be applying the same kind of method which I used to get my Xbox One Controller working for Splinter Cell Conviction (here’s a link to that tutorial) if you followed my earlier tutorial "Splinter Cell: Conviction Xbox One Controller Fix" You could just copy over those two files(x360ce.ini and xinput1_3.dll) you created from your Conviction directory to your Rainbow Six Vegas 2 directories and that’ll be it if you’re using the Xbox One controller. But for continuity I’ll be covering those bases once again here. Xbox One or wireless Xbox 360 controller obviously.Any other third party controller that’s PC compatible will work too cause this tutorial will fix those too. Xbox One and/or Xbox 360 Controller Windows drivers installed. 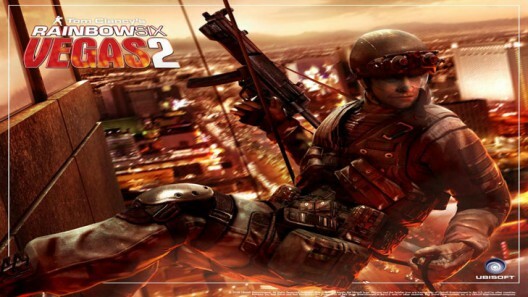 Rainbow six Vegas 2 1.03 patched. UPDATE-02/05/2019: The current build of X360ce(3.2.10.82) apparently may not be working properly. If you get to the point where “Default Settings for Most Popular Controllers” tab is blank and/or still experiencing unresponsive controller behaviors. You'll have to use an earlier build of X360ce(version 3.2.8.76 to be exact). I've uploaded a copy of X360ce 3.2.8.76 to DropBox Cheers!! If you’re unsure where Steam installed the game, you can open up the game properties by simply right click the game while in the library, select properties, local Files tabs, and select browse local files should bring up the game directory. Once copied over simply right click on x360ce.exe and run it as administrator. Allow it to search Automatically for settings, when it asks if you want to create a Xinput1_3.dll file, simply hit the Create Button, if there’s an exception error message just hit continue. Now you have to close X360ce.exe and run it again as administrator. Now hit the controller one tab you should see an Xbox 360 controller, verify that your controller is working properly by hitting/clicking buttons and a green dot will light up on the image corresponding to which button you clicked. If it doesn’t light that’s fine, just make note it’s the right controller by verifying the last tab is the controller you’re setting up. Once verified working head over to the Controller Settings tab, you should notice that your controller/Device selection on the top left corner and the Program/Game else on its right. The first thing you want to select the device you want to setup from the controller/Device drop down eg.Controller (xbox 360 Wireless Receiver for Windows) or Controller (xbox one for windows), next for the program/game you want to pick R6Vegas2_game.exe. 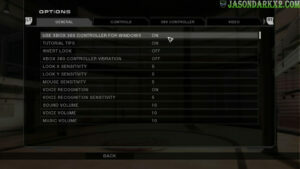 Now what you want to do is head over to “Default Settings for Most Popular Controllers” tab and pick Controller (Xbox 360 wireless receiver for Windows) from the list. Then hit Load , hit Yes, when it asks load Preset Setting? Once finished, save and close xbce.exe you will notice the two files,x360ce.ini and xinput1_3.dll in the directory. You can now delete the x360ce.exe and boot up the game and enjoy Rainbow six Vegas 2 with your xbox one or xbox 360 wireless controller. Be sure to enable controller options in the game under Extra->options-> General tab-> use Xbox 360 Controller for Windows. I hope this help anyone having trouble playing Rainbow Six Vegas 2 with the Xbox One or Xbox 360 Controller or any other controller. If you have questions, feel free to leave it in the comments sections. Totally worked! I did have to do some manual stuff since the device/controller and program/game settings were grayed out, but my hat is off to you my friend! I’m unclear of what you are trying to ask. If followed the tutorial, everything should be fine. By default Vegas 2 only has right hand controls, where you fire with the right trigger and left trigger is to take cover. Unless you wondering about a shoulder swap mechanics like in modern games, well Vegas 2 doesn’t have one. When I try to run the .exe after extracting it into binaries it opens but doesn’t load anything. I also tried running it as administrator. If I move it to any other directory it works, but in binaries it doesn’t. As I’m unable to replicate your exact situation. If there are x360ce.ini and xinput1_3.dll files existing in the directory, I’ll recommend deleting them and trying x360ce again. – Your game is installed in C:\ drive or a directory that has write permissions set not to allow programs such as x360ce to write to it. I’d rather not dive into changing those permissions for safety concern. – Therefore the safest solution is for you is to do it in an external directory( i.e. desktop) with controller connected but leave the Program / Game blank and save the settings as mentioned in tutorial. Then move x360ce.ini and xinput1_3.dll files to the Vegas 2 binaries directory. It’s not letting me pick controller /device or program/game.. what do I do from this point.. please help!! If you cannot select the program/game executable. It should be fine as along x360ce.exe is ran as administrator while in the Vegas 2 game directory upon save. As for the controller / device section it should have been auto detected to the one you’re using, unless you have two controllers plugged in, the option to change would not be available. Total Rock star man, got my xbox one controller working properly in rbsv2 following this, Thanks! Thanks Man, was trying to figure this out recently. Your guide did the trick.